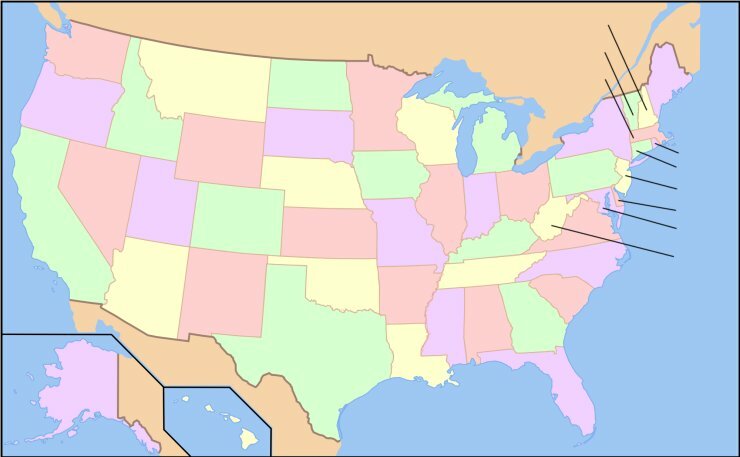 Type as many States as you can in the box below! Find all states and get a certificate. Good luck! What type of code would you like for your certificate? If you're from England, try my Counties quiz. Credits: This quiz created by quizzes-online, based on a European map quiz at bizrok, and related to a USA states quiz at Ironic Sans, in particular the high-tech version by Erik Wannebo. The map image is from Wikipedia, all other images created by myself.